Vision Components presents new software and hardware products for vision OEMs at two booths at the 2019 embedded world exhibition in Nuremberg, Germany. At the main booth (#2-444), everything revolves around VC Z series embedded vision systems. These are now available with an even wider variety of CMOS sensors, including several Sony Pregius sensors. Vision Components achieves outstanding clock rates, for example 88 fps at resolutions up to 3.2 MP or 170 fps at 1.6 MP. In addition, all VCnanoZ camera models are optionally available with application-specific LED lighting integrated in the standard housing. The latest embedded laser profiler is also on exhibit. Vision Components’ proprietary ambient light suppression technology enables measurements under up to 100,000 lux with this product. The 3D laser scanner contains a Xilinx Zynq module, a system on chip (SoC) with an FPGA and a high-performance ARM processor. The FPGA handles all calculation of 3D data. The ARM processor clocked at 2 x 866 MHz can be freely programmed for other application-specific tasks such as gray value analysis. This enables additional 2D inspection tasks to be performed with just the one system. The company also demonstrates vehicle make and model recognition based on deep learning algorithms. It is suitable as a standalone solution or can be used in combination with the Carrida license plate recognition (ALPR) software in order to increase accuracy. This tool has a wide range of possible applications in access control, traffic monitoring, and smart city matters. Vision Components has a second booth (#3-764) dedicated exclusively to its new MIPI camera modules for use with various common CPU boards. Founded in 1996 by Michael Engel, inventor of the first intelligent camera for industrial applications, Vision Components GmbH is a leading supplier in the field of machine vision. Branches and distributors represent the Ettlingen-based company throughout the world in more than 25 countries. Vision Components develops and distributes intelligent, network-compatible real-time Smart Cameras that are able to operate without a PC. These embedded vision solutions can be easily integrated into almost any machine or plant. Customers can choose between models with ARM processors and VC Linux firmware, or DSP-based models with the proprietary VCRT operating system. The product portfolio includes Smart Cameras with or without a protective housing, single board cameras, and vision sensors. 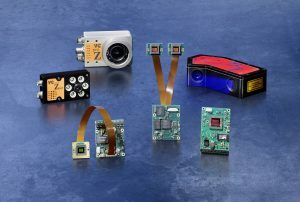 Vision Components also develops custom-tailored machine vision solutions for a wide range of applications – including, amongst others, tasks in quality inspection and automation. Furthermore, VC provides software libraries for many applications such as motion capture, decoding, measurement, and positioning.